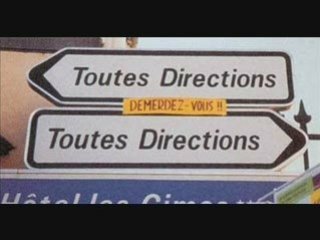 Toutes Directions... Both Ways? How do I get there?!? Join in and write your own page! It's easy to do. How? Simply click here to return to Share Amusing or Confusing Road Signs - ANY Funny Sign.